Instead of a traditional worship service, we are going to create an "outside-the-box" experience for you and your family. 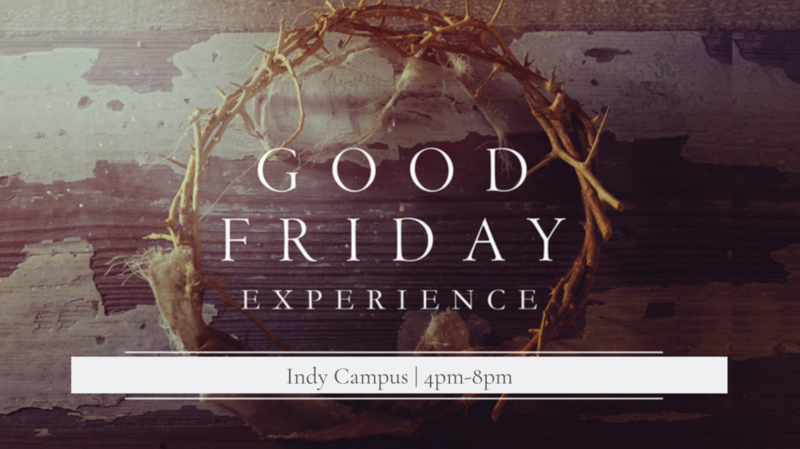 You can arrive at our Indy Campus on Friday, April 19th, anytime between 4 and 8pm. You will use your phone and headphones, or an mp3 player that we will provide for you, to go through an interactive experience that will last around 40 minutes in total. Childcare will be available for young children. Vineyard Life Church is a place where you can be yourself, come as you are, and experience God. You will find others like yourself pursuing Jesus on a life-transforming journey.